Take the two tablespoons of Greek yogurt in a bowl. To this, add honey and the lemon juice extracted from the lemon. Mix the ingredients thoroughly and make a paste. Using a hair dye brush, apply this pack to the scalp and hair roots. Leave it on for about 30 minutes, and then rinse thoroughly with cold water. Ideally, you should apply this pack once a week. But if you have dry hair, then you can use the pack twice a week. Greek yogurt acts as a natural conditioner for hair. It contains vitamin B5 and proteins that are extremely beneficial for hair (8). Honey contains antibacterial properties that protect hair from damage (9). Greek yogurt contains probiotics, which, according to studies, make the hair grow (10). Soak two tablespoons of fenugreek seeds in water overnight. Make it into a paste in the morning. Blend this mixture with a little water to add some consistency. Add four tablespoons of curd one egg white. Apply this on your hair and scalp. Leave in for half an hour. Wash off thoroughly with water. Soak fenugreek seeds in water overnight. The next morning, grind the seeds and make a paste. Ensure the paste is thoroughly ground and spreadable. Apply this paste to your hair, from the root to tip, and cover with a shower cap. Leave it on for about 40 minutes, and then rinse using cold water. Fry fenugreek seeds in coconut oil. Cooling and strain the preparation. Apply the mixture in small amounts on the scalp by rubbing gently at the roots of your hair. You can apply this once or twice a month. Fenugreek seeds enhance hair growth and help in the rebuilding of the hair follicles. They also make hair shiny, strong, and long (11). Add the ground licorice root and saffron to the cup of milk and mix thoroughly. Before going to bed in the night, apply this mixture to the bald patches and leave it on overnight. Licorice root has healing properties that soothe the scalp and eliminate scalp irritation or dandruff. This helps in maintaining scalp health and promoting hair growth (12). Beetroot contains potassium, protein, and vitamins B and C, all of which are essential for healthy hair (13). Grate the onion and extract its juice. Dip the cotton ball into the juice, and apply it directly to your scalp, ensuring the hair strands are covered from the root to the tip. Leave it on for about 30 minutes, after which you can rinse with cold water. Squeeze an onion to extract its juice. Add 1 to 2 teaspoons of honey to it. To get rid of the odor, you can mix rose water with onions. Apply this on your hair and leave for 40 to 50 minutes and wash off. You can also crush a few cloves of garlic and boil them in a little coconut oil for a few minutes. When the mixture is lukewarm, massage your scalp with it. You can apply onion juice to your hair once in a week. Onion has antibacterial properties that can eliminate the bacteria that can cause scalp infections (14). It also has a high sulfur content that improves blood circulation to the hair follicles and encourages hair growth. Sulfur is also known to treat infected hair follicles (15). Be careful while applying the juice to your hair. If the juice gets into your eyes, wash them thoroughly with cold water. Though not harmful to your eyes, onion juice can cause a burning sensation and extreme discomfort. Add the Chinese hibiscus flowers to the coconut oil and heat the mixture. When the flowers are charred, strain the mixture and collect the oil. Apply this oil every night and wash your hair thoroughly the next morning. You can crush a few hibiscus flowers and mix with sesame or coconut oil to make a fine paste. Apply this on your scalp and hair and keep on for a few hours. Rinse off. You can try this remedy two to three times every week for about a month. Chinese hibiscus contains vitamin C, phosphorous, and riboflavin, the essential nutrients for smooth and strong hair. The flower also contributes to toxin elimination and promotes circulation, thereby enhancing hair growth (16), (17). Steep the two green tea bags in the hot water and wait till the water cools down. Now remove the tea bags, and use the solution to rinse your hair. Massage the solution over your scalp. You can use this green tea solution as an after-shampoo conditioner. Repeat the procedure twice a week, after shampooing your hair. Green tea is known to stimulate hair follicles and boost hair production. It also increases your metabolism, which has been linked to an increase in the rate of hair growth (18). You can begin by slightly warming the oil and putting it into a small bowl. Gently apply the oil to your scalp and the hair roots. Massage in small, circular motions. You can either leave the oil on for about 30 minutes or overnight, and then shampoo as usual. Do this every alternate day till you see the results. Coconut oil contains antioxidants that strengthen hair and give it a natural sheen (19). It also has antimicrobial properties that help fight scalp infections. Make it a point to wash your hair within a day of applying the oil. Otherwise, your hair would appear greasy and can attract dust and dirt as well. You can also use almond, olive, and amla oils instead of coconut oil for similar results. Olive oil has been found to improve the elasticity of the hair, thereby preventing it from breakage. Almond and amla oils also help prevent hair loss and make it stronger (20). Break open the two eggs in a bowl. Separate the yolks from the egg white. Mix the egg white thoroughly till you get a thick and even consistency. Using a hair dye brush, apply the egg white to your scalp and hair. Cover your head with a shower cap and leave it on for about 20 minutes. Then, rinse with cool water followed by a mild shampoo. You can take one egg white and mix it with a teaspoon of olive oil. Beat to make it into a paste. Apply all over your scalp and hair. Leave it for 15 to 20 minutes. Rinse off with cool water and mild shampoo. Eggs are a rich source of protein, B vitamins, and essential nutrients for optimum hair health (21). Wash the potato thoroughly and peel its skin. Cut it into small pieces and put them in a blender to get the puree (You can add a little amount of water to the puree if it’s too thick). You can further strain the puree into a bowl using a muslin cloth. This will give you the potato juice. To the juice, add a teaspoon each of honey and water. Mix well. Apply the mixture to your scalp and hair, and leave it on for about 30 minutes. You can do this once a week. Potatoes contain potassium, vitamin C, and iron, all of which are vital for maintaining hair health. It has also been found that a deficiency of potassium could lead to hair loss (22). Cut each of the lemons and prepare a cup of lemon juice. Strain the juice into a bowl using a muslin cloth, and mix it with the warm water. After you have washed your hair in the bath, gently pour the mixture over your scalp, massaging it into your scalp at the same time. Leave the mixture on your hair for about five minutes, and then wash it off with cool water. In the morning, after a bath. Do this once or twice a week. Lemons are excellent astringents. They tighten the pores in your scalp, thereby controlling hair fall. If you have oily hair, a lemon juice rinse is what you can try out. Lemons also contain alpha-hydroxy acids that exfoliate dead cells, eliminating dandruff in the process. Lemons are rich in vitamin C, an essential nutrient that helps maintain hair health (23). Despite being safe, lemons contain acids. Hence, close your eyes as you pour the mixture over your head. Also, remember not to use the lemon juice remedy too frequently or for a long duration; it can dry out your hair. Grind the coriander leaves and mix them with water to form a paste. Extract the juice from the paste, and using a hair dye brush, apply it to your scalp and hair. Leave it on for an hour, and then shampoo as usual. In the morning, before taking a bath. You can try this out twice or thrice a week. Coriander is known to make your hair soft and prevent hair loss. Apart from this, it is also effective in promoting hair growth (24). Since ancient times, henna has been used as a natural hair color and conditioner, especially in India. It also plays a major role in strengthening your hair. To enhance its effectiveness, you can mix it with mustard oil before applying. Add some washed and dried henna leaves. Filter it using a muslin cloth. Store this oil in an airtight container and regularly massage your hair with it. You can also prepare a hair pack by mixing 1 cup of henna powder with half a cup of curd. Apply this on your hair and allow it to dry. Wash off with cool water and a mild shampoo. Curry leaves can be used to make an effective hair tonic. Boil some curry leaves in your hair oil and apply it on your scalp. Massage for at least 15 to 20 minutes. This procedure should be followed twice a week to stimulate hair growth. Honey, olive oil and cinnamon should be combined to form a hair pack and applied once a week. These rich natural ingredients are the perfect anti-hair fall treatment you need. Apply this hair pack once a week to see results. This hair pack moisturizes your hair while stimulating the scalp which, in turn, encourages growth. Make a paste out of equal parts of the four ingredients. Apply the combination twice a week on your hair and scalp and wash off with lukewarm water. For best results, use this pack twice a month. Apart from these remedies mentioned above, maintaining a healthy lifestyle and a proper hair care regime are vital for treating hair fall issues. Stress is a common problem these days faced by almost everyone. It can lead to several health problems ranging from a minor illness to life-threatening medical conditions. Studies have indicated that high level of stress is responsible for causing hair fall in most people. Hair fall that happens due to genetic reasons is also known as androgenetic alopecia. According to the American Academy of Dermatology, it is the most common cause of hair fall. This gene can be inherited from either of your parents’ side of the family. You are more likely to suffer from hair fall if both your parents have suffered from it too. Hormonal imbalances caused due to menopause, pregnancy, and malfunctioning thyroid glands are also responsible for causing hair fall. Junk food is considered harmful because it hardly provides your body any nutrients and makes it vulnerable to health conditions. Eating junk food can lead to nutritional deficiencies which can cause hair fall and baldness. 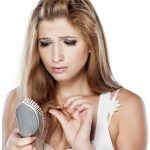 People with eating disorders are also likely to suffer from excessive hair loss. Harsh chemical treatments offered by salons, such as straightening and curling, can weaken your hair follicles when frequently done. This contributes to more hair fall. Blow drying your hair on a regular basis also contributes a lot to hair fall. Dandruff is a common problem these days which can be easily treated. But if neglected, it can start turning into thick scaly patches, known as psoriasis. This long term skin problem is caused when the skin cells grow rapidly, leading to thick, white, silvery or red patches of skin. Our hair is made up of a protein called keratin. Deficiency of this protein in your diet can weaken your hair. This results in dry and brittle hair that breaks easily. This can also be a symptom of thyroid related issues, so consult your doctor. Anemia is a common problem observed in women who do not have enough iron rich food. It is caused when the blood does not have enough red blood cells. These cells transport oxygen throughout your body, providing you the energy that you need. Anemia is a major cause of hair loss as hair follicles also require an adequate supply of blood for their growth and maintenance. Some other causes of hair fall are aging. Deficiency of vitamin B6 and folic acid, over styling, and thyroid diseases. 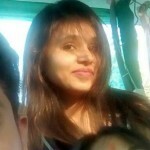 How Much Hair Fall Is Normal? Contrary to popular belief, hair fall is actually quite a normal phenomenon, where you lose up to 50 to 100 strands of hair each day. It is when start to lose more than that you need to worry. Hair fall, when it happens in its natural course, is backed by hair growth. But if the rate of hair loss exceeds the frequency of natural hair regrowth, it is a cause for concern. If you are losing hair in tufts and are unable to maintain volume, you should immediately consult a trichologist. Hair fall can lead to baldness, technically known as alopecia. It is characterized by the loss of hair from the head and body. With the latest advancements in technology, hair fall can be controlled and reversed to a great extent. In fact, there exist certain traditional hair growth home remedies that work in combating this problem. It is in winters when our hair problems are at their worst. With the cold setting in and lack of moisture in the air, hair problems like dandruff, dryness, hair fall and scalp itchiness are common.While there are many reasons behind hair fall, here are a few common causes that lead to hair fall. Understanding these causes would be a better way of trying to prevent further damage to the hair. Keep The Dandruff Away: Dandruff is one of the most common issues that occur because of extreme dryness of the scalp. It is one of the main causes of hair fall in winter. Use an anti-dandruff cleanser to prevent hair fall. Don’t Tie Your Hair Too Tight: Tight ponytails or braids are a big no if you’re trying to control hair fall in winters. Wear your hair loose, even while going to bed. Gentle Combing: In winters, hair is already dry and damaged due to lack of moisture in the air. Try and comb only when required and be as gentle as you can. Have A Healthy Diet: Have a Healthy Diet: Include loads of vitamins and minerals in your diet by having fruits, vegetables, whole grains, and nuts. Make sure you stay away from processed food, sugary items, and fatty food. This will help control hair fall. Hot Oil Treatment: Using a hot oil treatment during winters is a great way to add nourishment to your hair and prevent hair fall. Apply some warm olive oil or coconut oil on the scalp and the hair strands. Leave it for about 1-2 hours. This should be done at least once a week to give you the desired result. Apply An Avocado Mask: Avocados are supposed to have lots of vitamins and minerals that can deep nourish the hair strands and treat dryness and hair fall. A mask made of mashed avocados can be applied on the hair and left for 45 minutes before washing. Follow it every 7 days to get the results. Avocado can also be mixed with banana as one of the other masks for the same treatment. Caring for hair becomes all the more important in monsoons because your hair tends to lose moisture content due to high humidity in the atmosphere and frequently getting wet. This may result in the hair being too frizzy, dry and brittle. Hair may also become limp, and there are chances of scalp infections too. Thus, proper hair care in monsoon is very essential. The first thing to avoid in monsoon for hair fall control is getting wet in the rain. We all love getting wet in the rains again and again. But our hair does not! Frequent wetting, and then shampooing and drying robs the hair from essential moisture and makes them lifeless and frizzy. Minimize the exposure of your hair to rain water as much as you can. However, if you get wet in the rain, rinse your hair with plenty of clean water and a mild shampoo soon after returning home. This prevents germ infection on your scalp and checks hair fall in monsoon. If your hair gets wet in the rain, do not leave them tied in a ponytail or a bun. Let them loose to dry to prevent fungal infections and dandruff. Oil your hair for 1-2 hours before shampooing, at least once a week. Alternatively, you may use a home-made hair mask. Mix 1 ripe banana, 3 tablespoons honey, and 1 tablespoon olive oil. Apply this pack on your hair and leave it for 15-20 minutes. Then wash off with plain water to get shiny hair! Your hair turns rough and dry and ultimately leads to hair fall during monsoons. A quick and natural oil massage followed by a hair wash results in soft, manageable hair. Identify your hair type and opt for nice hot oil massage every weekend or twice in a week to maintain gorgeous silky hair. Include hot oil massage in your weekend hair care routine. Do you have that habit of combing your wet hair after hair wash or after getting wet in the rain? Stop that immediately! Wet hair is weak and susceptible to breaking. Gently air dry hair and comb it with a wide-toothed comb after your hair is completely dry. Avoid using heated hair equipment as they make your hair even drier and rough during the monsoons. Using too many styling products like Gels and Mousse causes product build up. Couple that with improper cleaning and you have to deal with dandruff and hair fall. Avoid excessive usage and ensure that you are washing your hair well. Opt for gentle hair care products which are free of parabens and sulfates to avoid further damage to the hair. If your hair got wet in the rain, shampoo your hair when you get back home. While falling from the sky, rain water gets loaded with environmental pollutants, and can damage your hair if not washed properly. Do not shampoo more than 2-3 times in a week, and always follow shampooing with conditioning. Using an anti-frizz shampoo and conditioner can control frizz up to a great extent. Use a wide-toothed comb made up of natural materials such as wood to comb through your hair to prevent building up of static energy, resulting in frizzy hair. Plastic combs/ brushes add to the frizz because of the static. Always use a leave-in serum after shampooing. Do not make very tight ponytails or buns in monsoons, as the moisture in the atmosphere tends to make the scalp sweat, and if your bun is very tight, the sweat will not evaporate, leading to dandruff and other infections. Mix two tablespoons of vinegar and a cup of lukewarm water. Wash hair with this solution and this really offers a perfect shine and adds volume to your hair as well. Avoid styling your hair in damp monsoon season. The humidity makes the hair more frizzy and leads to hair loss. Do not go for any chemical treatments during monsoon as the chemicals react adversely with rain water causing severe damage to the hair and scalp. In addition to the home remedies, there are certain other lifestyle changes you can make and tips you can follow to keep hair fall away. A balanced diet goes a long way in maintaining the overall health, including hair health. To combat hair fall, it is important to incorporate a balanced diet. Put greater emphasis on the intake of vitamins, calcium and iron as they can prevent hair fall to a great extent. Insufficient protein and iron intake is one of the common causes of hair fall. In addition to these, vitamins are also good for your hair. Vitamin A, being an antioxidant, promotes healthy production of sebum in your scalp. It stimulates blood circulation in the scalp, thus keeping your hair follicles productive. The B vitamins aid in the production of melanin, which imparts a healthy color to your hair. It also stimulates blood circulation. Thus, having a balanced diet comprising of essential nutrients can significantly lessen hair fall. Incorporate fish, green vegetables, iron rich fruits, milk and milk products in your diet. Massage your hair with lukewarm oil regularly at least once a week. In addition to its inherent goodness, it will improve blood circulation in your scalp. Always oil your hair from root to tip. You can use almond, olive or coconut oil for your hair. Massage your scalp with your hand for a couple of minutes. Put on a shower cap for an hour and then shampoo and condition your hair as usual. For greater effects, you can add a few drops of rosemary, lavender, bay or peppermint essential oils to almond or sesame oil base. A dirty scalp is always prone to infections. Make it a point to regularly shampoo and condition your scalp with reliable products. Keeping your hair clean will prevent dandruff problems. It will also keep itching and hair lice at bay which are among the main causes of hair fall. Besides washing, hair should be brushed properly. You should also regularly trim your hair to prevent tearing of hair and avoid split ends. Wide-toothed comb should be used. Blow drying should be avoided as far as possible because the heat generated can cause damage to your hair. Avoid combing wet hair immediately after having a bath. An unhealthy lifestyle is also one of the causes of hair fall. So it is important to incorporate a few changes to make it conducive for healthy hair growth. Mental stress is one of the major contributing factors for hair fall. Practicing meditation is a great way to ease mental stress and restore hormonal imbalance. Proper sleep is also vital for overall health including hair health. Using too much heat and chemicals on the hair should be avoided. If you are using a hair gel, make sure you wash it off the very next day. Avoid tobacco and alcohol as much as possible. By following the above natural hair growth remedies, you will definitely experience noticeable results. However, if none of these remedies are working, it is advisable to consult a dermatologist before the condition worsens. Certain medical treatments are also available, such as hair transplant, hair restoration, stem cell treatment and hair extensions. You can go for these procedures but only after proper consultation with your dermatologist. It has been proven time and again that consumption of junk food can cause hair fall. Junk food contains excessive calories and no essential nutrients, which can eventually lead to hair loss (25). You can, instead, switch to including more of green leafy vegetables, protein-rich foods, and fruits in your diet. Wet hair is more prone to breakage, which is why you must be gentle while handling it. The best way to dry wet hair is to pat it with a dry towel, instead of rubbing it harshly. Regular exercise enhances blood circulation and improves the flow of oxygen to your scalp, thereby controlling hair fall. Ideally exercise for about 30 minutes a day, five times a week (26). Drinking sufficient water is one more way of keeping hair fall at bay (27). Owing to our busy and sedentary lifestyles, we seldom remember the importance of keeping ourselves hydrated. Drink about six to eight glasses of filtered water on a regular basis. Exposing your hair to high temperatures can destroy the vital proteins and damage your hair’s protective cuticles. When this happens, the moisture balance of your hair gets disrupted, making it susceptible to breakage. Ideally, you can limit the usage of hot styling tools (including your blow-dryer) to not more than twice a week. Also, make it a point to apply a heat protection spray to reduce friction and protect your hair. You can skip shampoo for a day, but make sure that doesn’t become a habit. Not washing your hair for days together can lead to the accumulation of dirt, oil, and product residue that can clog the pores in your scalp. On the other hand, washing your hair too often (washing every day) might remove the essential oils your scalp needs. The best you can do is wash your hair every two days, more so if you are prone to excessive sweating and use many hair products. Use a sulfate-free shampoo to prevent excessive dryness. Hair fall might be a serious problem. But like most serious problems out there, it can be prevented and treated with simple home remedies. Follow the above tips, and you will never have to worry about hair loss again! Hope you liked the article. Please leave a comment in the box below. Struggling with hair fall this summer? Tired of trying out anything and everything but nothing seems to work out?